Classic Jewelry - This is a traditional sterling silver statement choker that features fourteen cultured freshwater white round pearls (8mm each). This limited edition handcrafted collar necklace is bold and beautiful, but also delicate. 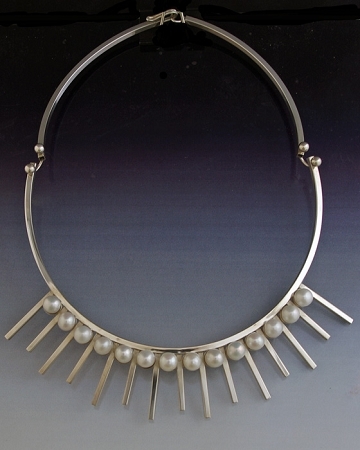 Handmade sterling silver choker style necklace with round fresh water pearls. This is a classic piece and can be created to compliment any lady. Picture yourself wearing this beauty.